Fairmont Pacific Rim unveils ‘The Market’ – a new addition to the sleek Giovane Café + Winebar. This internationally inspired gourmet market takes epicureans on a culinary journey, sourcing the finest handcrafted products from British Columbia, Italy and around the world. 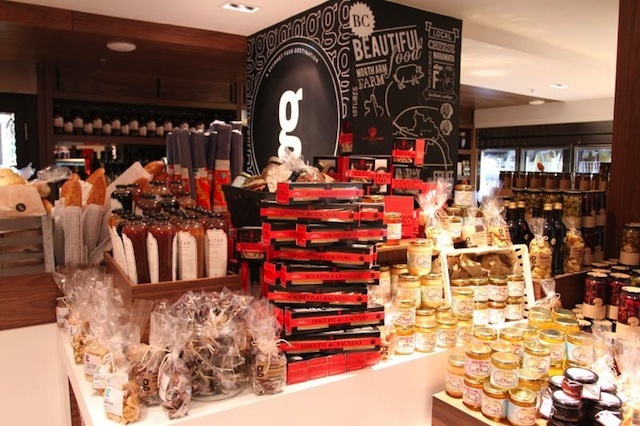 From savory house cured meats, a selection of superior cheeses, olives and imported olive oils, to meals on the go – giovane’s marketplace offers a wide array of exclusive ingredients. With a passion for sourcing only the best, the talented Giovane team has been working with Italy’s finest growers and producers to carry quality Italian-crafted items such as the world’s ‘Best in Class’ #1 olive oil. ‘The Market’ at Giovane caters to a sophisticated palate, no matter what the occasion. From family-style sharing platters to home cooks searching for elusive high-end ingredients to the perfect items for picnics in the park, ‘The Market’ is sure to please. You can even impress your guests by having Fairmont Pacific Rim Executive Chef Darren Brown create the ultimate dinner party to go, outfitted with all the makings of a magnificent meal.